This guide will explain how to transform your Raspberry Pi Zero W into a Wi-Fi Access Point. Some parts of this guide are taken from the Raspberry Pi official website. For the complete guide, please check the full downloadable PDF file here: Raspberry Pi Zero W Access Point Guide. A PC connects to Raspberry Pi Zero W (Wi-Fi Access Point) by using a Wi-Fi card, and shares its Internet connection through Ethernet LAN. Therefore, the Raspberry Pi Zero W can connect to the Internet through the PC (the PC is acting as a sort of Internet network bridge). The reason why I decided to implement this network layout is that I wanted to use my Raspberry Pi Zero W as a standalone unit (I want to leave it connected on the Fuelino installed on my motorcycle, in order to control the ECU from my Iphone via Wi-Fi), and sometimes add Internet Connection through my PC. 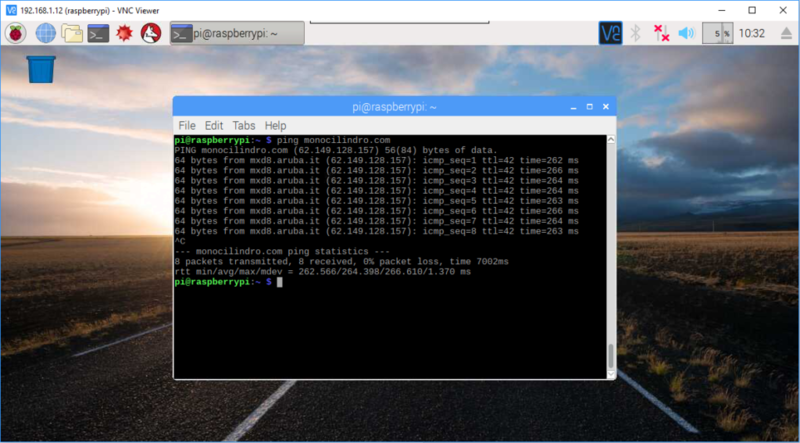 Raspberry Pi is going to work as an Access Point (including DHCP server) most of the time, and I will connect it to Internet only to perform Raspbian OS updates. For most of the steps, I followed the Raspberry Pi official website. However, I implemented some modifications regarding IP addresses, because in my case, the Gateway is going to be on the PC side. 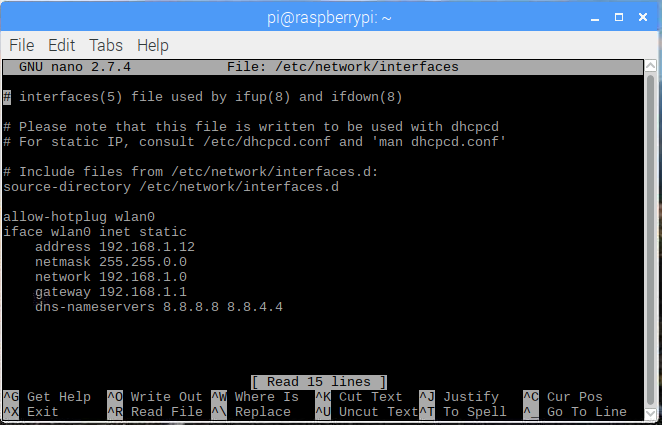 Since the Gateway IP address (PC side) is 192.168.1.1, I assigned the address 192.168.1.12 to Raspberry Pi. The other steps are basically the same of the official guide. 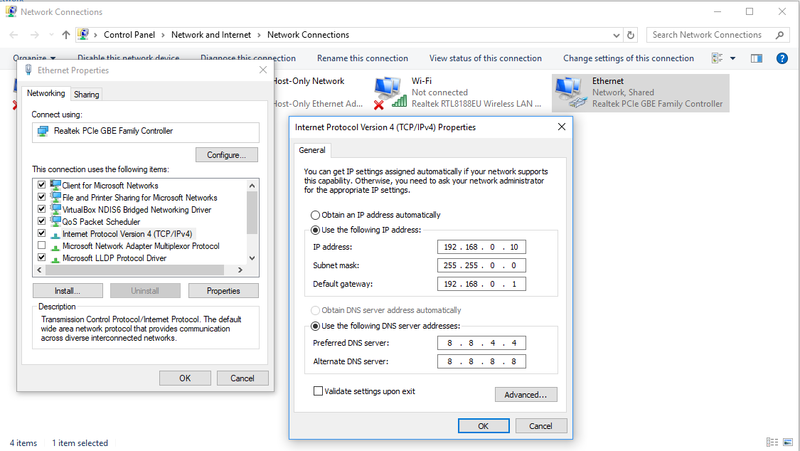 On the PC side, I configured the Internet Sharing function on the "Ethernet" connection, and I also set the IP address of both Ethernet side (192.168.0.10) and also Wi-Fi side (192.168.1.1). At the end of the procedure, I connected to Raspberry Pi by using VNC Client, and tried to ping "monocilindro.com", and Pi was properly communicating via Internet. For the complete guide, please download this PDF file: Raspberry Pi Zero W Access Point Guide. From now on, I will be able to use the Pi Zero W as a standalone unit, not connected to the Internet. It will be installed on my motorcycle, and with my Iphone I will be able to connect to it (Raspberry will work as Wi-Fi Access Point with integrated DHCP server function). Doing so, I will be able to use this Pi to control, with my Iphone, the behavior of the ECU (Engine Control Unit) in real time, when the engine is running. And in case I will want to upgrade the OS, what I have to do is just to remove the Pi from the motorcycle, take it into my house, connect the PC to the Pi by using Wi-Fi, and the Pi will have full access to the Internet.